AVAILABLE 8/1/2018!This beautifully remodeled 4 bedroom, 3.5 bath home is truly a One-Of-A-King Gem! 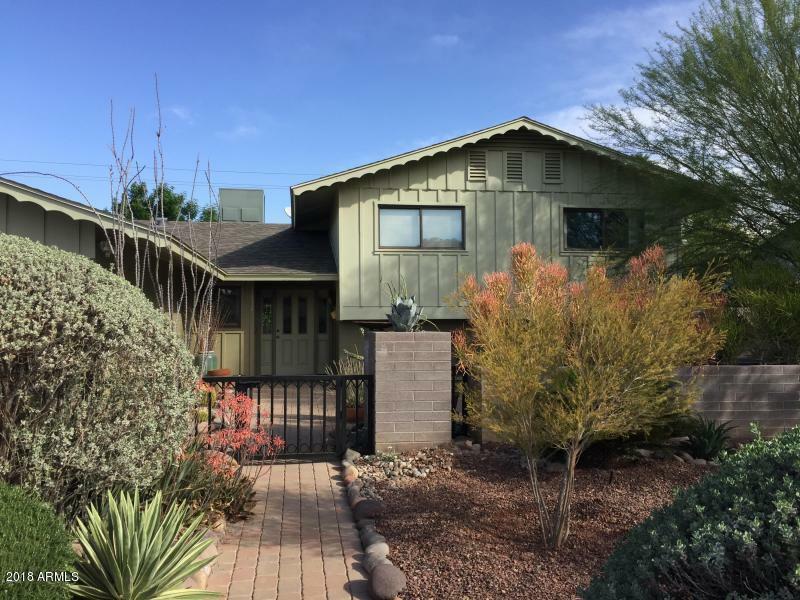 This home is situated on a large lot with 2 car garage and low maintenance yet well appointed desert landscaping in the front. Huge gated courtyard in the front with several possibilities! Huge living area on main floor with wood floors and upgraded modern lighting/ceiling fan. Gorgeous eat-in kitchen with granite slab counters, white cabinets, all appliances including gas stove, double ovens and built-in microwave, a pantry and tons of cabinet and counter space! 2 master bedrooms - 1 upstairs and 1 downstairs. The downstairs master features an amazing bathroom that you must see to appreciate with a separate water closet, dual sinks,heated towel rack and an amazing shower room with separate bathtub. Bedrooms are all generously sized and there are lots of unique touches through out the home including a seat under the stairs, built-in cabinets, gorgeous modern lighting and ceiling fans, built-in closet organizers, mirrored closet doors, etc. HUGE laundry room with linen closet. Backyard offers a large covered patio, dessert landscaping with a large grassy area in the middle and tons of privacy! All of this located just minutes from ASU, shopping, dining, entertainment and all Tempe has to offer!